So, I finally took my new KitchenAid stand mixer for a test drive. Needless to say, the experience went as smooth as a baby's bottom. 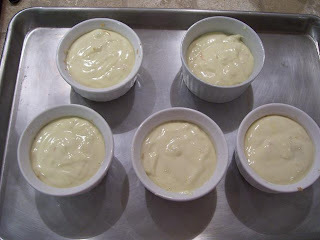 Since I had a friend over for dinner, I decided to prepare something a little simple: Grand Marnier Souffle. 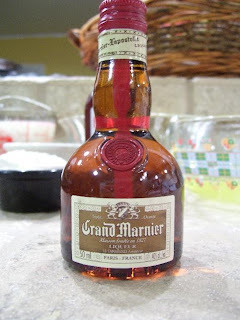 Why Grand Marnier?? 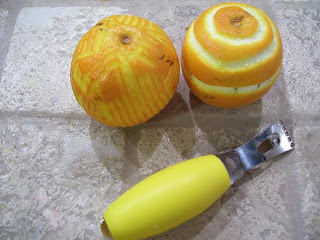 Well, this week I will be preparing a Grand Marnier cake so I decided to stay within the theme. 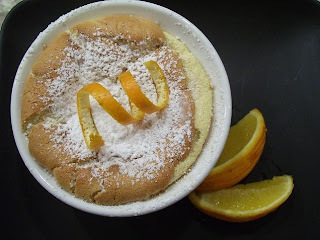 I found a nice little recipe for Grand Marnier Souffle at Recipezaar. I thought it tasted great, however, I felt that it was somewhat egg-y. I'd recommend using 4 egg yolks instead of 6, an equal amount to the suggested number of egg whites. If you want to make this souffle even more heavenly I'd suggest topping it with a Vanilla Sauce. Combine sugar, eggs and vanilla extract. Boil milk and allow to cool slightly. 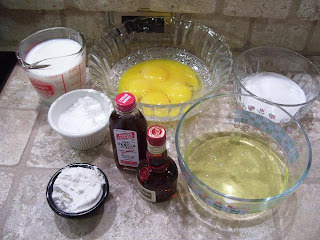 Gradually add milk to egg mixture (i.e. Temper). If you add the hot milk all it once, it will cause the eggs to cook (not good!) 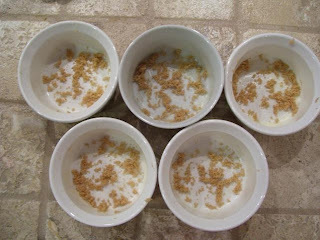 so be sure to add milk gradually, dribbling it into the mixture while constantly whisking. Cook over medium heat until mixture coats the back of a spoon. Strain through a mesh strainer into a stainless bowl and cool. If you want to speed up the cooling process, you may also opt to cool it over an ice bath. If you don't want the added calories, do as I did and squeeze fresh orange juice over the souffle. Simple and divine.